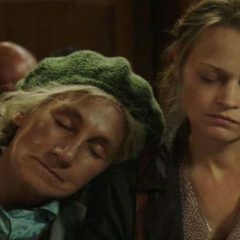 Home » Posts Tagged "A Gentle Creature"
A Gentle Creature is a very strange film: it mixes realism with fantasy. The film grabs the attention from the beginning and never lets up. A seemingly straightforward story develops into imaginary sequences so that we often don’t know what is real and what is pure imagination. The starting point is a short story by Dostoyevsky. A woman lives alone on the outskirts of a village in Russia. One day she receives a parcel she sent to her incarcerated husband, marked ‘return to sender’. 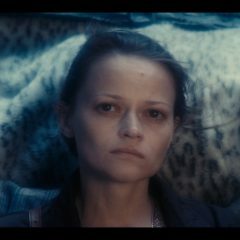 Arrow Films are excited to announce the release of critically acclaimed Director Sergei Loznitsa’s Palme d’Or nominated A GENTLE CREATURE in UK cinemas 13th April.